Recognizing the deep bench of internal talent that has powered its long-term success, Royal Caribbean Cruises Ltd named a senior company executive to chart the future course of the company's brand. Michael Bayley, who worked his way up from an assistant purser's position aboard the Nordic Prince, will serve as President and CEO of Royal Caribbean International, the world's largest cruise brand. Said Richard D. Fain, Chairman and CEO of Royal Caribbean Cruises Ltd: "This is a happy day for Michael, and a proud day for all of us at the company. To recognize this incredibly talented person with these vital leadership position after years of dedication, effort and innovative thinking is gratifying for everyone here. I am impressed with the skills he has demonstrated over the course of his career, and I am excited to see where he takes this powerful brand next." Bayley assumes Royal's helm after a successful term as Celebrity's President and CEO. At Celebrity, he delivered strong results while building the company's "modern luxury" positioning, which resonated successfully with Celebrity's sophisticated customer base. Before his Celebrity role, Bayley served in several senior roles at Royal Caribbean International, including Executive Vice President of Operations. He is credited for playing a key role in the company's international expansion, helping launch company operations in markets around the world. 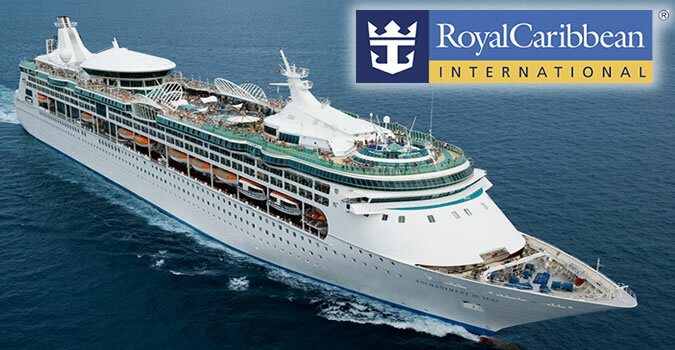 Said Bayley: "Royal Caribbean International is a brand with an incredible history – and unlimited potential. The ships, personified in the new Quantum class, are some of the best and most innovative in the world. And the crews that service Royal Caribbean International guests have a track record of delighting guests from every culture around the world. I look forward to an exciting future as we raise our game to an even higher level of performance." Fain said: "No one who has seen this exceptional executive in action can be surprised by his continuing growth as leader. As a company, we have a mantra of continuous improvement; in Michael, we have a talented leader who will help us continue to deliver on that commitment to our shareholders, employees and guests." Royal Caribbean Cruises Ltd. (NYSE/OSE: RCL), a global cruise vacation company that also owns Royal Caribbean International, Pullmantur, Azamara Club Cruises and CDF Croisieres de France, as well as TUI Cruises through a 50 percent joint venture. Together, these six brands operate a combined total of 42 ships with an additional seven under construction contracts, and two on firm order. They operate diverse itineraries around the world that call on approximately 490 destinations on all seven continents. Additional information can be found on www.royalcaribbean.com, www.celebritycruises.com, www.azamaraclubcruises.com, www.pullmantur.es, www.cdfcroisieresdefrance.com, www.tuicruises.com, or www.rclinvestor.com.